You are here: Home / Great Deals / Taco Nite: Friday Fail! My DH was making tacos for dinner. It was described to me from my DH (& DS who was helping): “We saw the taco shells were burned, we turned around to get a pot holder thingy and when we turned back around they had burst into flames! 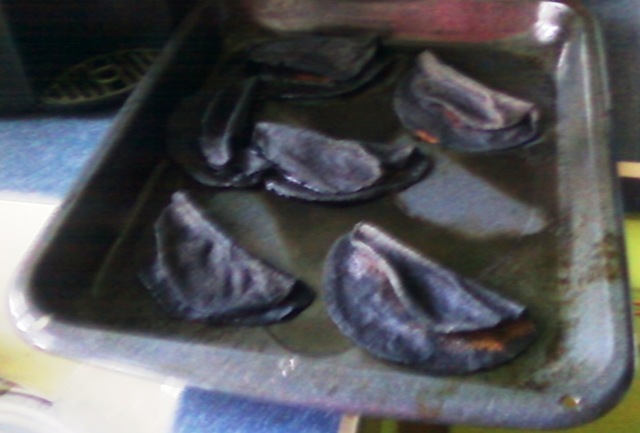 !” Who knew Taco Shells could catch on fire? In their defense, as I was watching America’s Top Model this week a girl laid her taco shells on top of the toaster to cook them and they caught on fire as well. So, beware if you let others cook tacos in your kitchen! You can check out other Friday Fails, too!